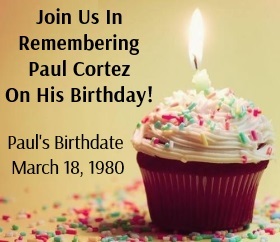 On January 21, 2014, Paul’s case was dealt both a setback and step forward. On the positive side, the New York Court of Appeals reversed two legal rulings of the trial court. Posted by Site Admin Jul - 17 - 2012 Comments Off on Paul Cortez Granted Leave! We are very excited to announce that on July 17th, Chief Judge Jonathan Lippman of the New York Court of Appeals granted Paul leave to appeal his case.